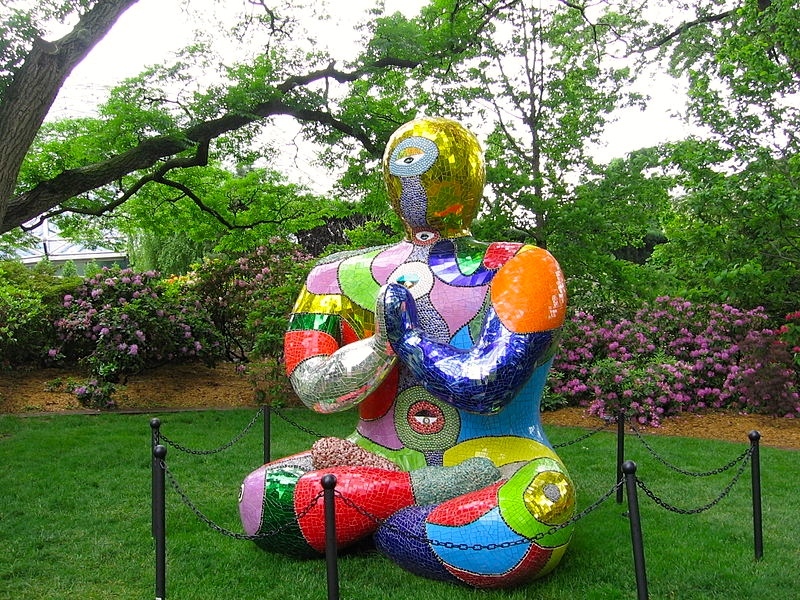 The image is of a colorful condom in Saint Phalle’s distinctive style. 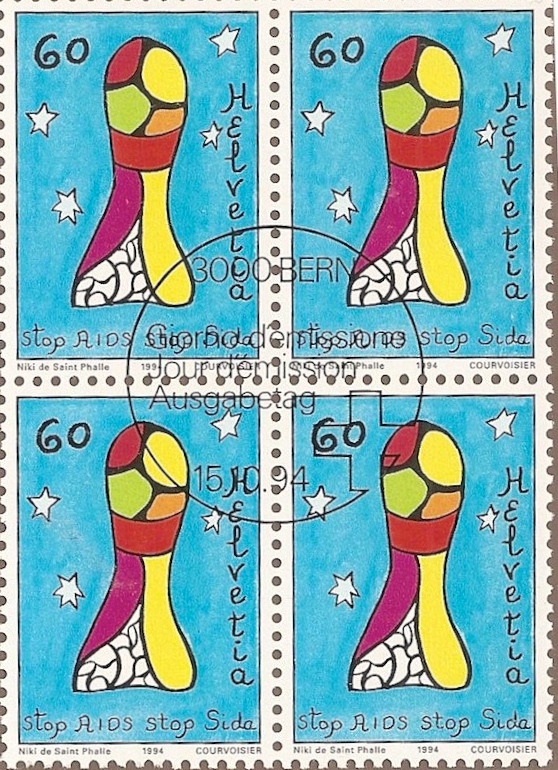 As it happens, Dean was working for Swiss PTT that year and as a holiday gift, got a collector’s edition of every stamp printed that year, including the “Blaue Niki” (“Blue Niki”) above. ‘Without a condom, no pleasure”. Niki de Saint Phalle (born Catherine-Marie-Agnès Fal de Saint Phalle, 29 October 1930 – 21 May 2002) was a French sculptor, painter, and filmmaker. This entry was posted on February 18, 2015 at 4:05 am and is filed under Art, Phallicity. You can follow any responses to this entry through the RSS 2.0 feed. You can leave a response, or trackback from your own site.